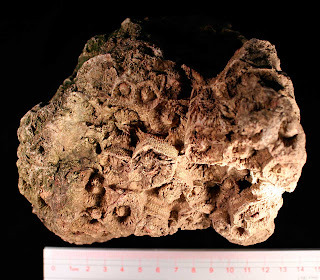 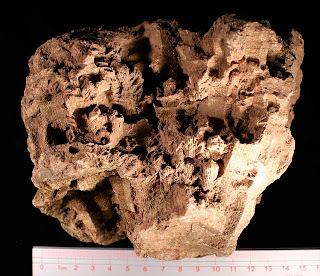 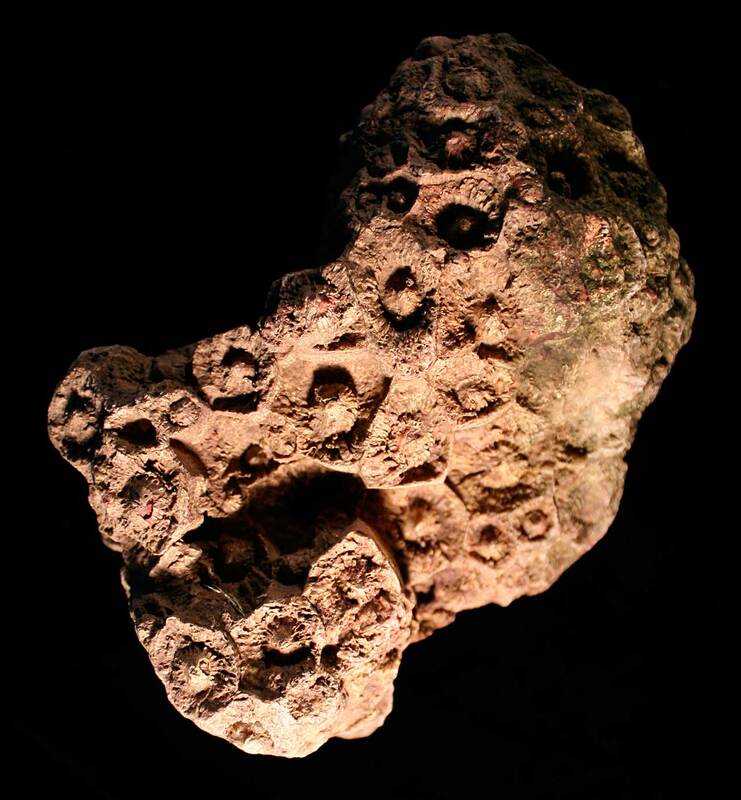 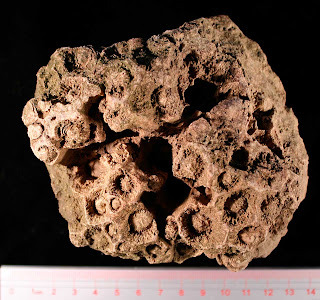 These rugose coral fossils were found in Floyd County, Indiana in the St. Louis Limestone. 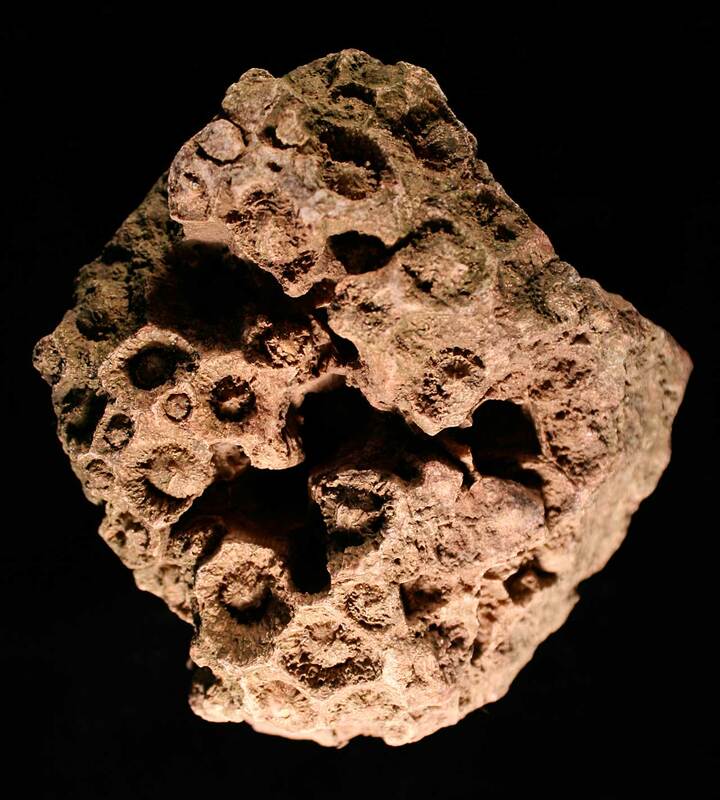 This limestone dates back to the Middle Mississippian (Carboniferous) period. The corals appear to be Acrocyathus floriformis? also referred to as Lithostronchia or Lithostrotion or Lithostrotionella. 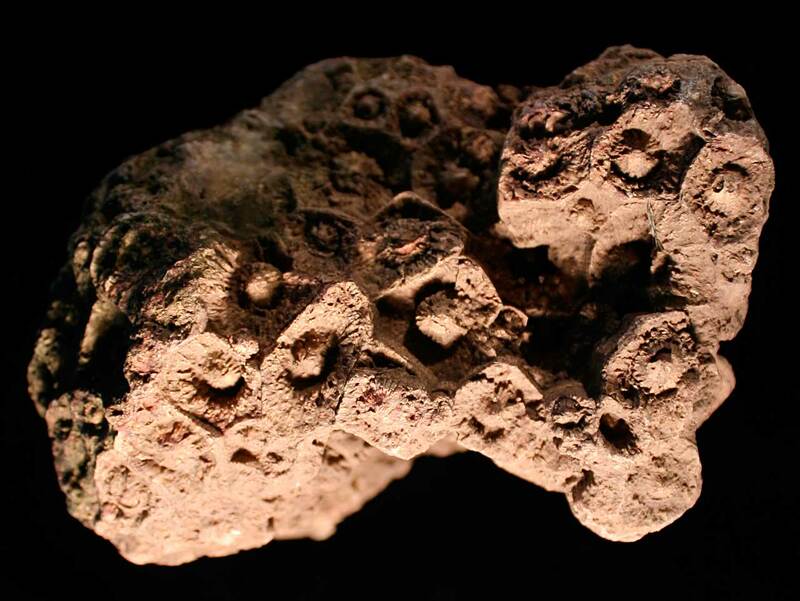 These coral fossils also are found in Kentucky, Missouri, West Virginia, and maybe Alabama. Thanks to Alan for help with identification.